Friday night was opening night for our show. It is made up of 9 artists (including Rachel and me) from Barracks 19 at NTC Liberty Station, where Rachel and I have our studio (209). It was very exciting and there were over 200 people. 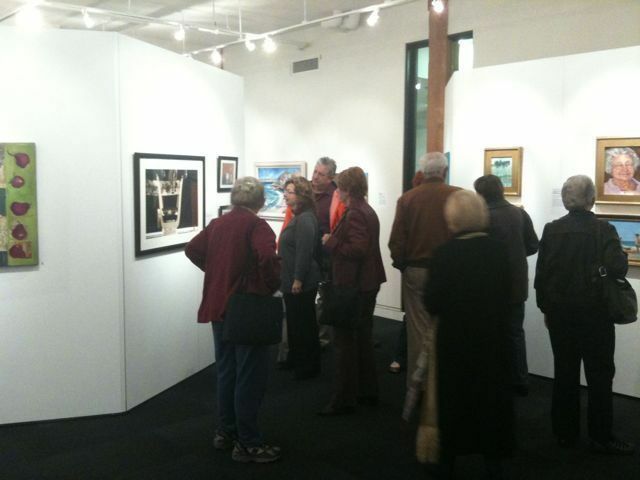 It was also opening night for three other galleries. It went very well and people had lots of questions. The show runs through February 22… It was very exciting!